If you have the Cozy Cave then what you need is the Cozy Cave Kit to complete it! Features all the items that you need to decorate your cave and make it glow providing you with loads of visual stimulation. 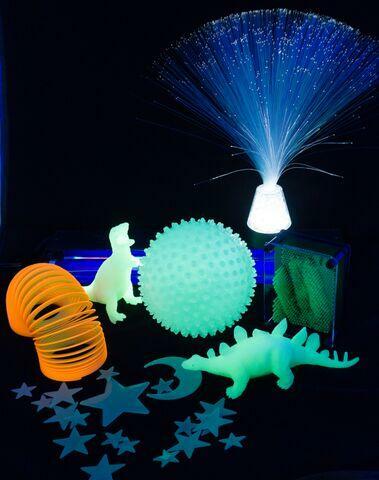 Items included are: UV Instant Sculpture, Glow Dinosaurs, Glow Stars, Fiber Optic Light, Glow in the Dark Sensory Ball and a Blacklight Fixture. Items may be substituted due to availability.